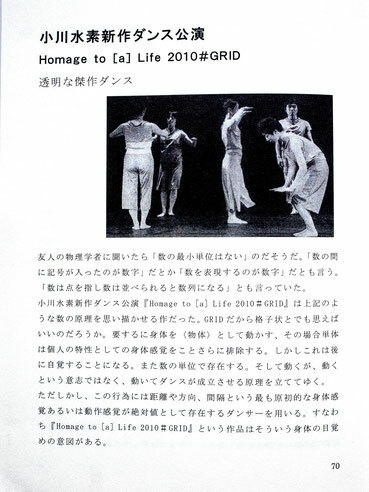 The new dance performance by Suiso Ogawa, “Homage to [a] Life 2010 #GRID” brought to my mind the principles of quantities. Perhaps we can think of it as lattice, as it is stated in the title: “GRID.” In other words, she moves her body as an object, and in this case, a single object particularly eliminates a body sense as an individual characteristic. But she will come to be aware of this later on. She also exists in a mathematical unit. 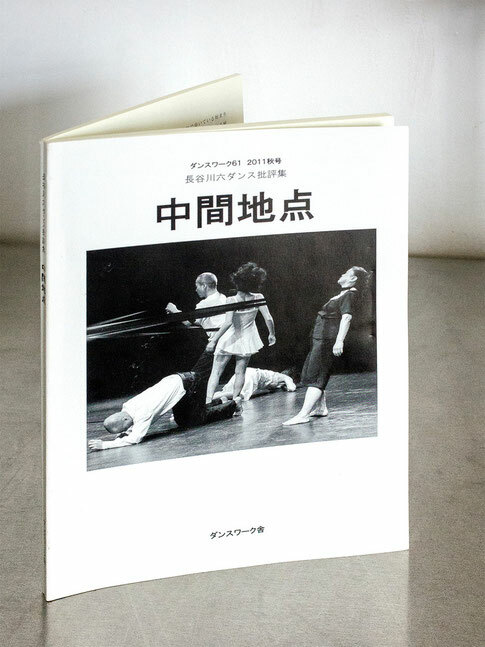 She moves, but she moves not according to her will to move, but rather, she moves to build the principle that is established by the dance. This act employs a dancer with the most primary body sense called “interstice,” or within whom the motion sense exists as an absolute value. Thus, this “Homage to [a] Life 2010 #GRID” has a purpose for such physical awakening.